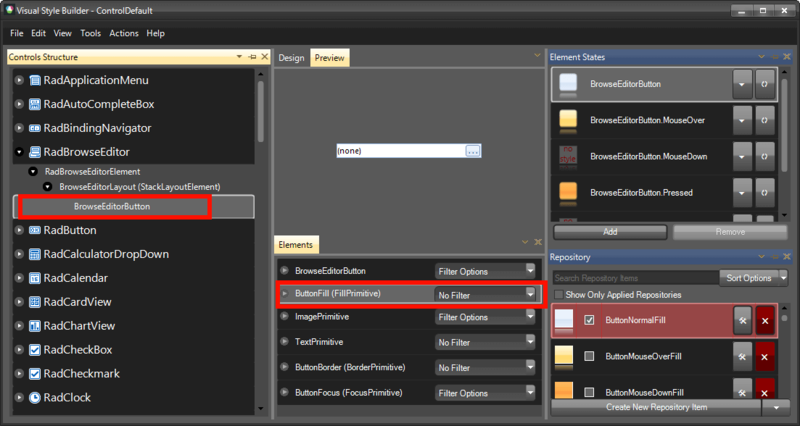 This help article will demonstrate a step by step tutorial how to customize the ControlDefault theme of RadBrowseEditor. 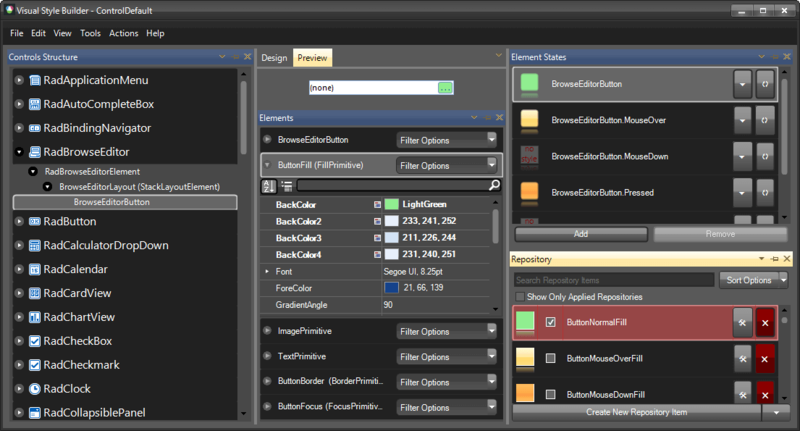 Select BrowseEditorButton in Controls Structure on the left side. 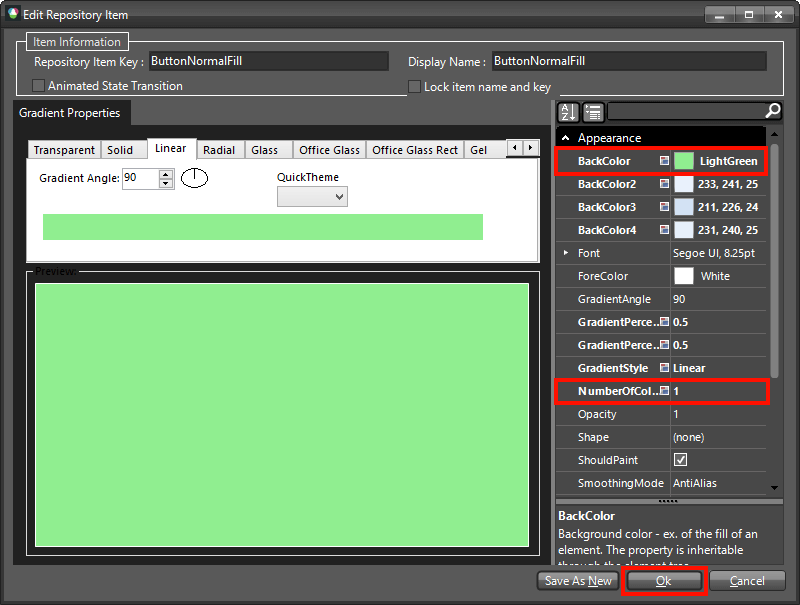 Then, select ButtonFill in the Elements section.